WEDNESDAY, Jan. 20, 2016 (HealthDay News) -- A new drug for irritable bowel syndrome with diarrhea seems to reduce symptoms for some patients for at least six months, two clinical trials found. Based on these findings, the drug Viberzi (eluxadoline) was approved recently by the U.S. Food and Drug Administration. In the phase 3 trials, more than 30 percent of patients experienced improvement in their symptoms at least half of the time they were taking the drug. This compared to about a 20 percent improvement in those taking a placebo, the study authors said. 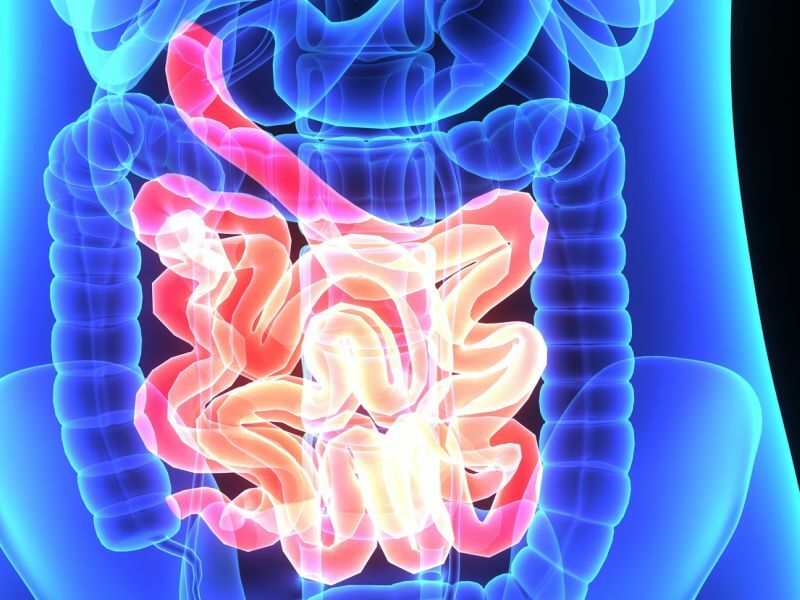 "This drug offers another option for patients who have IBS (irritable bowel syndrome) with diarrhea who have not found relief with currently available treatment," said lead researcher Dr. Anthony Lembo, an associate professor of medicine at Harvard Medical School in Boston. This drug, taken twice daily, should only be used for IBS with diarrhea as the predominant symptom, not for those whose main symptom is constipation. The drug treats the diarrhea and reduces stomach pain, Lembo said. However, Dr. Arun Swaminath, director of the inflammatory bowel disease program at Lenox Hill Hospital in New York City, said, "Viberzi is not a silver bullet." The drug helps only about one-third of patients, Swaminath said. "And if you look at the difference between the placebo group and the group taking the drug, there is only a 10 percent benefit," he said. Swaminath also said that those who benefit from the drug feel about 30 percent better on 50 percent of the days they take Viberzi. "So this is hardly going from feeling abnormal to completely normal," he added. Results from the trials were published in the Jan. 21 issue of the New England Journal of Medicine. Funding for the studies was provided by Furiex Pharmaceuticals, maker of the drug. Irritable bowel syndrome causes pain or discomfort in the abdomen and changes in bowel movement patterns. IBS affects 10 percent to 15 percent of adults in the United States, according to the U.S. National Institutes of Health. For the new study, researchers randomly assigned nearly 2,500 adults with IBS with diarrhea to one of two doses of Viberzi or a placebo. In one trial, patients took Viberzi twice a day for 26 weeks, and in the other trial they took the drug for 52 weeks. The researchers found that by the 12th week of the trials, almost 30 percent of patients taking the highest dose of the drug (100 milligrams twice daily) saw improvement in their symptoms, compared with less than 20 percent of those taking the placebo. These results remained similar when assessed again at 26 weeks, the researchers said. The most common side effects of Viberzi were nausea, constipation and abdominal pain, the study found. These side effects were mild and passed quickly, Lembo said. The most serious side effect of Viberzi was pancreatitis, which is inflammation in the pancreas, the study found. Although rare, pancreatitis can develop in people with pancreatic problems, and therefore Viberzi isn't recommended for anyone with known pancreatic problems, Lembo said. In addition, Viberzi shouldn't be used in patients with a history of bile duct obstruction, severe liver impairment or severe constipation, or in patients who drink more than three alcoholic beverages a day, according to the FDA. Swaminath doesn't think he would prescribe Viberzi as a first-line treatment, but would reserve it for people who aren't responding to other treatments. The basics of IBS treatment, according to Swaminath, are changes in diet to increase fiber, and using prescription drugs and over-the-counter drugs to control diarrhea. If these approaches don't work, then he would try other drugs, including Viberzi. "If patients have been on the standard medications and they didn't work or they couldn't tolerate the side effects, then we have a new option," Swaminath said.